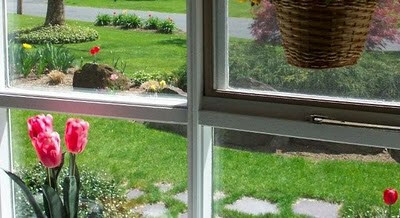 Red, yellow, salmon & white tulips and the yellow daffodils are blooming in our front cut-outs. White Viburnum blossoms line our street. The Peonies have buds! What a great sight to behold as I look through our front bow window while munching on a Banana Crumb Muffin. Two days ago there were 2 overripe Bananas on my counter and now there are none! 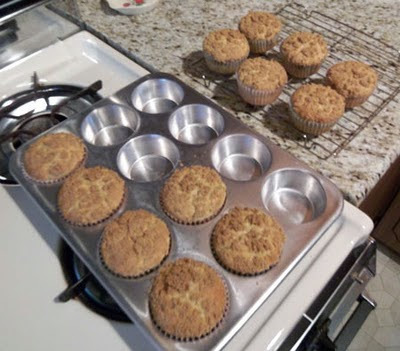 :) Those 2 brown spotted Bananas beckoned to be used (or tossed), so I located my Banana Crumb Muffin recipe. All of the ingredients are staples in my kitchen, but I made a few changes. In the past two years I have been substituting Olive Oil for Vegetable Oil when baking/cooking. This muffin recipe called for melted and cooled Butter/Margarine, so I decided to substitute Olive Oil. I also decided to use less Granulated and Brown Sugars than my original recipe calls for. The result - Yum! 12 very moisty Banana flavored muffins! This is a great way to enjoy Bananas! :) My Hubby gave the muffins two thumbs up! 1. Mix Flour, Baking Soda, Baking Powder, Salt & White Sugar in a large bowl. 3. Stir Banana mixture into Flour mixture until moistened. 4. Spoon batter equally into paper lined muffin tin. 5. For Topping: In another small bowl mix together Brown Sugar, extra Flour, Cinnamon & softened Butter/Margarine. Sprinkle an equal amount over batter of each muffin. Press lightly. 6. Bake in a Preheated 375°F Oven, 18 – 20 Minutes or until a toothpick or cake tester that has been inserted in center of muffin comes out clean. Remove from pan and cool. The warm weather brought out flowers, our outdoor grill and Banana Crumb Muffins! :) When I have 2 more overripe bananas, I will be baking these again! When you have overripe Bananas do you use them in baking or do you eat them? This past week just zipped by. Each day was full of activities, so every evening before dinnertime I would open my freezer door to locate a previously prepared dinner. It was great finding labeled and dated Ziploc containers of previously prepared food that could be defrosted/reheated in my microwave. But that can only happen for so long. This morning’s breakfast needed some attention, because a visit to the grocery store was really necessary. Well, two overripe Bananas were sitting in the fruit bowl, but you know my thoughts about eating Bananas first thing in the morn. That is, unless the Bananas are totally combined with other ingredients like in hot cereal. Today is Sunday – so no hot cereal today. Looking on my counter and in the fridge, a partial loaf of Soft Oatmeal Bread, Soy Milk and Eggs were available. 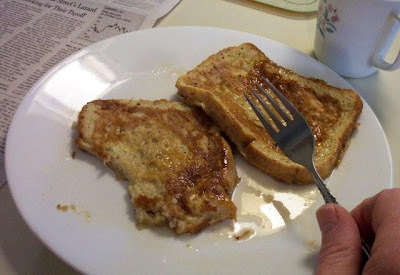 That could only mean one thing – soft tasty French Toast. By adding a little Cinnamon and a little Nutmeg to the Egg and Milk mixture Breakfast tasted yummy! A trip to the grocery store came later in the day! Soy Milk, Eggs and Bread were on the list, too! 3. Add Cinnamon + Nutmeg and beat with fork. 4. Heat non-stick griddle or skillet on medium heat. 6. The underside will be golden brown when it is time to turn the bread slice over with a spatula. 7. Turn over and brown other side. 8. Enjoy with Maple Syrup! Yes! Oaties in the Freezer! The flowering trees in my neighborhood look so pretty! Today the outdoor temperature reads 88°F. No, this is not a day to bake. Somewhere in my freezer there must be one remaining Ziploc Freezer Bag containing cookies. Tucked away in the back on the bottom shelf I located a dated and labelled Ziploc Freezer Bag containing Craisin Raisin Oaties. I remember baking them about a month ago. Today on this very warm day it is quite the find! Whenever I bake a double batch of these chewy, colorful, delicious cookies, I package a dozen or two in Ziploc Freezer Bags after they have cooled. Into the freezer they go. These cookies taste so good after they have been defrosted. (Oh yes, a warm cookie also tastes really good about five minutes after the cookie sheet has been removed from my oven!) On a busy or a very warm day it’s a welcome find to locate a package to defrost. Sure, I know that my local Big Y sells “Gourmet Cookies” in plastic containers. However, locating homemade Craisin Raisin Oaties in my freezer can make my day. Below is the recipe for one batch. Usually, I bake a double batch. 2. Beat Sugars and Margarine/Butter together until creamy. 3. Add Eggs, (Whites) & Vanilla. Beat well. 4. Add Baking Soda, Cinnamon & Flour. (& Optional Salt, if desired) Mix well. 5. With large spoon or spatula stir in Oats. 6. Add Craisins & Raisins and stir well. 7. Place 12 rounded Tablespoons of batter onto ungreased cookie sheet. 8. Bake 10 – 12 Minutes, until golden brown. 9. Remove from pan onto wire rack. 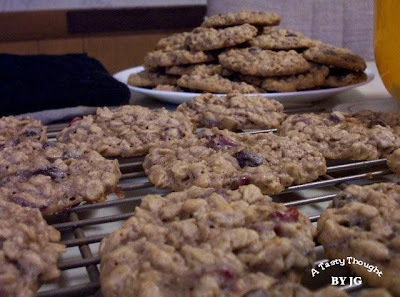 Craisins and Raisins make for one very tasty Oatmeal Cookie! 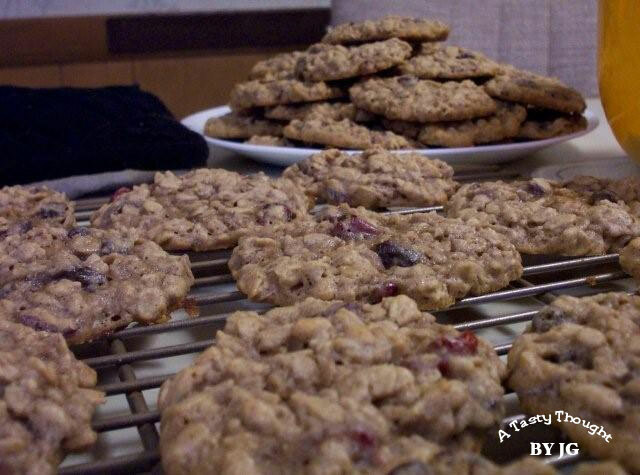 Do you bake a double batch of cookies, and place some in your freezer? The sun is shining brightly through our bay window. 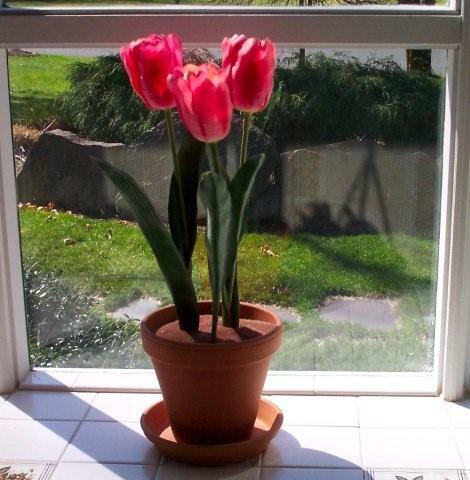 Spring and April have arrived and it is Easter weekend! Yesterday, my oven was working overtime. The Irish Soda Bread is double wrapped and sitting on the kitchen counter for Breakfast tomorrow morning. My mom’s recipe for Polish Cheesecake was used, so our Easter Dinner dessert is in the fridge. Mustard Coated Roasted Leg of Lamb, Garlic Mashed Potatoes and Butternut Squash are on our menu for Easter Dinner. Will you also be celebrating this holiday at home?